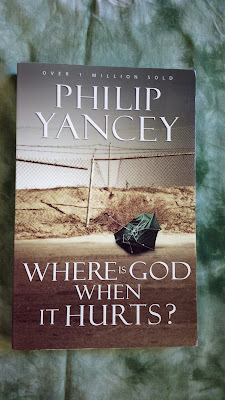 Where is God When it Hurts by Philip Yancey attempts to answer one of Christianity’s most profound question. Anyone who shares the same sentiment wondering where God is during life’s lowest moments can find solace in this book. The book slowly leads us to finding the answer to the book title’s question. First, we learn God’s purpose for pain, particularly physical in nature. Pain is actually the body’s natural way of directing attention to a specific bodily part with concerns that must be addressed immediately. Without pain receptors, we will become rather immune to anything and devoid of reaction. The same applies to issues in life; through them, our life becomes full. It’s like saying, “you bleed just to know you’re alive,” borrowing a line from a song. The book also assures us that God isn’t detached from humanity in his distant abode. In fact, he took the form of a frail human body in order to empathize and sympathize with life’s struggles. This is through Jesus Christ. At the cross, he felt all kinds of pain including physical, emotional, and mental. Amidst His anguish, He showed humility through acceptance and overpowered His adversaries through utter dependence on God. Although He questioned God (the Father) at one point asking why He was betrayed, He eventually allowed God’s will to be fulfilled. This is an example which God wants us to emulate. Life on Earth, even of a faithful Christian will never be without trials and problems. As the sun shines on both the good and the wicked, so does hardships in life. The only difference will be how each party will react; of which acceptance and dependence on God is a better reaction. My favorite chapter is about hope. This is exemplified with faith and trust that God can resolve any issue in life. I quote a part of that chapter, “Hope means simply the belief that something good lies ahead.” Similarly, we can always hope that amidst trials and tribulations, we will triumph and be blessed afterwards. Job, who was tried and tested with God’s permission, gained twice as much as what he lost. Lastly, with Jesus Christ’s ascension to heaven when he rose again after the third day of His death on Calvary’s cross, God ministers to us through His Holy Spirit and through the body of Christ. The former refers to that small, still voice inside which we often refer to as “conscience” while the latter pertains to our fellow believers in a church. So where is God when it hurts? He was in Calvary and died not just for remission of our sins but also to give us hope. He is also present within us through the Holy Spirit and ministers to us through our brethren at church.